Hinduism is in size the third world religion today, after Christianity and Islam. Because there are also polytheistic and monistic varieties (the latter believing that God and the human soul are one), it is only partially a monotheistic belief. 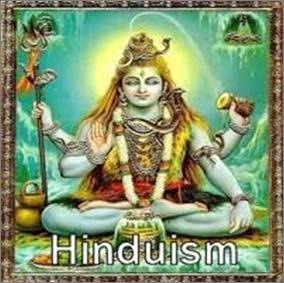 On account of its multiple appearances, one cannot say that Hinduism is one single religion: rather, the term ‘hinduism’ is the collective name for the beliefs of more than a billion of people in and outside the subcontinent of India. 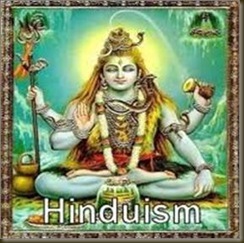 Unlike the Muslim and Christian belief systems, Hinduism is not very well suited to be used as a formal state religion (like Islam in some Middle East states or Christianity in European Middle Ages). The reason is not just the greater variety within Hinduism itself, but also the fact that in its main region (the Indian subcontinent) it has to compete with sizeable minorities of Muslims, Christians and Parsi (Zoroastrists). For that reason after the independence of India in 1947, Gandhi’s winning Congress Party proclaimed not just Democracy, but also Secularism as the basis of the Constitution: for India to become a united state, its founders needed a secular foundation. Under the government of the Congress Party, the standard of living on the subcontinent rose. But the welfare had been unevenly distributed and the corruption and the abuse of power gave rise to competitive other parties and fundamentalist movements. The Hindu fundamentalists are emulating the Muslim fundamentalists in all aspects. China has a comparable state situation: an enormous territory, with an alarming poverty and regions of overpopulation, and a multiplicity of beliefs such as Buddhism, Taoism and Chinese folk religions. 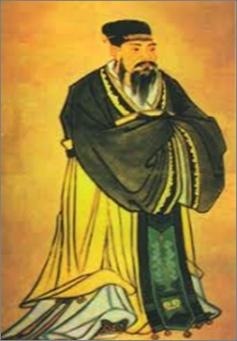 In the 2nd century BC, Confucianism was recognized as the Han state cult, and the Five Classics became the core of education: (1) humaneness or benevolence, in accordance with (2) ritual norms, (3) loyalty to one’s true nature, (4) reciprocity and (5) filial piety. Together these constitute virtue. 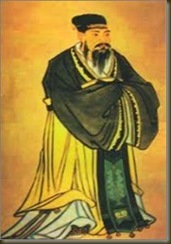 Confucianism is characterized by a highly optimistic view of human nature. Although Confucius himself lived a rather ordinary life, the faith in the possibility of ordinary humans to become awe-inspiring sages is deeply rooted in the Confucian heritage. The insistence that human beings are teachable, improvable, and perfectible through personal and communal effort is typically Confucian. For centuries, some people could seek social advancement by participating in the prestigious Imperial examinations, which were instituted in 605 AD to help the government select skillful bureaucrats. Examinations and a culture of merit are still greatly valued in China today. In recent years, a number of New Confucians have advocated the idea that modern democratic ideals and human rights are compatible with traditional Confucian values. until about 1978, the People’s Republic of China was a Soviet-style centrally planned economy without private businesses or capitalism. To propel the country towards a modern, industrialized communist society, Mao Zedong instituted the Great Leap Forward in the early 1960s, although this had dubious economic results. But his drastic one-child policy saved the country from dramatic overpopulation. Iillustration to an old Chinese story, meaning that Confucianism, Taoism, and Buddhism are one. 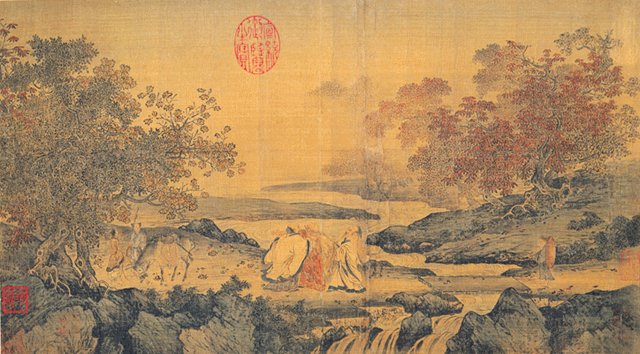 Painting in the litang style portraying three men laughing by a river stream, 12th century, Song Dynasty. Hinduism, Zoroastrianism, Judaism, Christianity, Islam, all were based on the assumption of a Big Ancestor-like Highest God who rules the world. Confucianism (500 BC) and Taoism did not, and Buddhism either. These religions are ethic: based on the universal human assumption that peace and happiness can be gained when all people are wise and do well. So it is a question of devising rules for good behavior and propagating them. Zarathustra’s religion was, being monotheistic, an ethic religion equally, and the ethics were part of the Machiavellian monotheistic religions as well. In Confucianism and Taoism, ethics were the whole content. What about Buddhism? The doctrines of Buddha are ethic, but with a deeply pessimistic origin. Life is inherent suffering and pain. One can only escape from is by renouncing all desire and craving. All branches of Buddhism (the major are Mahayana, Theravada and Zen) have the same escapist nature. Perhaps we may attribute this escapism to the hopelessness of the Indian caste society. Where Buddhism tries to convert adherents to become a solitary monk, Confucianism and Taoism on the other hand keep their adherents participating in society and try to convert then to good civilians. But China is on the road to a free market economy. The leading ex-Maoist party let slip the collectivistic Maoist ideology to generate free market prosperity but is hampered by the old corrupt power clique (no dictatorship without corruption). Confucianism is a too old wine for the new bottle of the free market prosperity. Free market economy cannot stand –isms. Even not libertinism in the end. Free market economy can only breathe democracy. That is what humanosophy sets itself the goal.